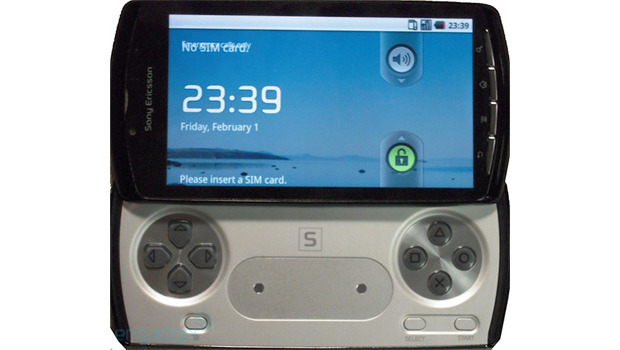 We’ve been hearing rumors of a PSP + phone mash up for quite sometime now and this is the very first time that a prototype of sorts that’s been leaked (purposely perhaps) for our eyes to feast on. While Sony has yet to admit that this is indeed a prototype for a PlayStation Phone (which I doubt that they’ll do), this the first substantial evidence of the device’s existence. The tip comes from Engadget who claims that this is indeed the actual PlayStation Phone that we’re looking at. The technical specs? It’s running the Android Operating System, sporting typical smartphone hardware like a 1 GHz processor, 512 MB of RAM, and 1 GB of ROM. The 3.7 4.1inch touch screen seems like a demotion from the PSP-3000 but at least we get touch controls.